It’s Our Elope to San Diego 15th Anniversary! Celebrate with our Elope to Coronado™ $300 Elopement Special ALL YEAR! 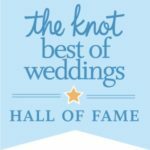 Your simple to plan and low cost Elope to Coronado celebration is the perfect alternative to going to the local County courthouse or that cheezy Vegas Wedding Chapel and without a lot of the restrictions made by the other elopement services you’ll find when trying to book a quick and easy celebration. “An elopement should not be expensive! What it should be is; a special and romantic moment without the hassles and expense of a wedding. Shame on those that take advantage of couples just wanting to runaway!” – Rev. Christopher – Elope to San Diego. 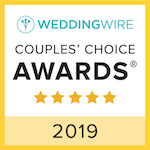 AN AWARD WINNING Wedding Chaplain: A personal, lighthearted and romantic elopement ceremony. No Additional cost for the type of ceremony you desire: Christian, Spiritual or Civil Type. No Additional fees to file of your marriage license: Following the ceremony we’ll file with your County Clerk if so desired. No Additional fees for additional guests… Your children, family and friends are encouraged to attend (Up to 17) at no additional charge AND, you are NOT required to buy a beach/park permit. No additional charge for adding acts of celebration like adding the Sand, Rose or Lei Ceremony as long as you bring your actual items! Elope to San Diego Elopement Photography is available upon request and offered at a special Elope to San Oceanside™ rate by Professional San Diego Wedding Photographers. Not a family member with a camera. Beware of wedding or elopement services making unsubstantiated claims. 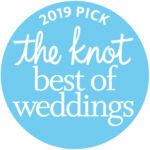 ANYONE can say they’ve been performing weddings in San Diego for generations, or create their own emblem proclaiming they are the BEST, the BIGGEST, the OLDEST or MOST TRUSTED. Those claims don’t mean a thing without an objective, 3rd party accreditation or governance to back them up!